Since the beginning of the year, I’ve taken an additional responsibility at ForgeRock: Product Management for a new product finally named ForgeRock Open Identity Gateway (built from the OpenIG open source project). OpenIG is not really a new project, as it’s been an optional module of OpenAM for the last 2 years. But with a new engineering team based in Grenoble, we’ve taken the project on a new trajectory and made a full product out of it. OpenIG 3.0.0 was publicly released on August 11th and announced here and there. But as I was on holidays with the family, I had not written a blog post article about it. So what is OpenIG and what’s new in the 3.0 release ? OpenIG is a web and API access management solution that allows you to protect enterprise applications and APIs using open standards such as OAuth 2.0, OpenID Connect and SAMLv2. I’ve presented publicly the new product and features this week through a Webinar. The recording is now available, and so is the deck of slides that I’ve used. You can download OpenIG 3.0 from ForgeRock.com, or if you would like to preview the enhancements that we’ve already started for the 3.1 release, get a nightly build from ForgeRock.org. Play with it and let us know how it is working for you, either by email, using a blog post or writing an article on our wiki. I will be reviewing them, relaying and advertising your work. And I’m also preparing a surprise for the authors of the most outstanding use cases ! Last month, just before the French national day, I was in Strasbourg to participate in the RMLL. 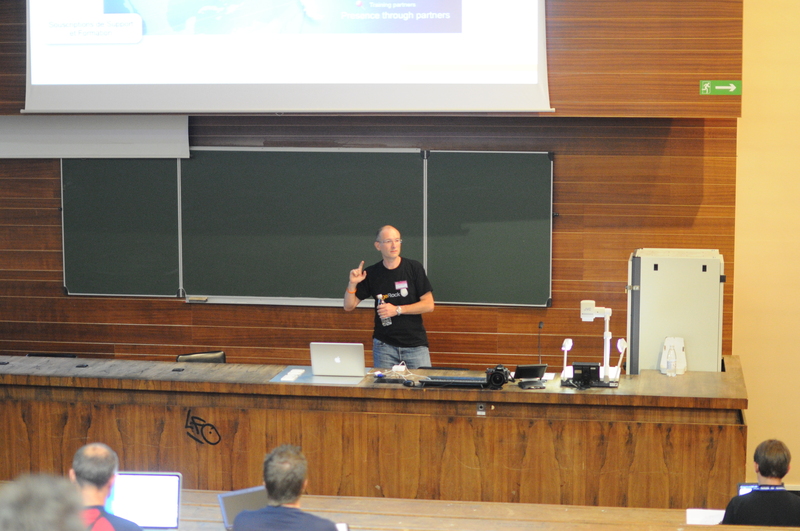 On the occasion, I did a presentation in the security track, about OpenAM Universal Gateway, another piece in the complex puzzle of Web Single Sign-On. The Universal Gateway solves an important problem in Access Management: allowing single sign-on for applications that are usually left out because they are based on legacy or non standard based technology. The Universal Gateway comes from ApexIdentity, an acquisition that ForgeRock did in the spring. It’s been released in open source as part of the OpenAM source code repository. The presentation I did was in French, and so are the slides. You can find more about the Universal Gateway on ApexIdentity web site, and soon on OpenAM documentation. OpenDJ directory server has one default administrator that can manage all aspects of the server. In an earlier post, I’ve described how to create multiple administrative accounts in OpenDJ, and in another one, I’ve talked about the Privilege system and how it can be used to tailor the administrative roles of each account. In most enterprises, administrators are usually employees and therefore have their own entries and password. For auditing purpose, security processes require that a change or an administrative task on the directory be done as the true person and not the administrative account. But often there are multiple administrators, and they can change role frequently. So what is the best practice for granting employees some administrative privileges ? An efficient and manageable way is to create an Administrators’ group and grant the privileges to all members of that group. When an employee, is no longer administrator, simply remove him from the group and he will loose all privileges associated. Likewise, adding a new administrator is just adding a member in the group. With OpenDJ, this can be done with 2 simple entries : a group and a privilege collective attribute subentry. Collective Attributes is a standard based LDAP functionality that allows to define attributes and value that are defined once and appear in all entries that match the subtreeSpecification. Collective Attributes are defined in RFC 3671. For those who are familiar with Sun Directory Server’s Class Of Service, Collective Attributes provide a similar function, but based on industry approved standard. OpenDJ collective attributes feature supports a few extensions to facilitate their use. First, the standard way to define a collective attribute is to define it in the schema with a “c–” prefix. With OpenDJ, any existing attribute can be defined as collective with the ;collective attribute option. Second, the scope of a Collective Attribute subentry as defined by the standard is a subtree, but the only filter possible is to specify the object class it applies to. We’ve extended the specificationFilter to accept an arbitrary LDAP filter, allowing a finer grained control of which entries are targeted. In the example above, the filter is used to restrict the Privilege Collective Attribute subentry to apply only to entries that have the isMemberOf attribute with the value “cn=Administrators,ou=Groups,dc=example,dc=com”. IsMemberOf is an operational read-only attribute (virtual) that is a back-link to the groups a user belongs to. OpenDJ does support the isMemberOf attribute for static groups, nested static groups and dynamic groups. The subtreeSpecification also contains a base “ou=people” to restrict the targeted entries to the ou=people subtree. There are additional field allowed in the subtreeSpecification to indicate a depth in the tree for example. As a result, collective attribute subentries, combined with groups, provide a flexible way to “inject” attributes and values to a specified set of entries, either to grant them specific privileges like in our example, or to decorate entries based on some common properties. This said, remember that privileges are set in addition to the Access Controls. So giving a user the password-reset privilege for example, will be useless if there is no ACI allowing him or her to modify the userPassword attribute of other users. Granting access through an ACI to a group is as simple as using groupdn=”ldap:///cn=Administrators,dc=example,dc=com”; to designate the authorized identities. Mark has just published another tutorial on how to setup Sudo with OpenDJ. The schema for sudo is part of the sudo package, but for convenience, you can find here a copy that works with OpenDJ. For many years, I’ve been working in collaboration with the Sun access management product team, as it started working on the Directory Server Access Management Edition (DSAME) product that years later became Sun Access Manager and OpenSSO. And now that I’m at ForgeRock, I have the pleasure to keep working with some members of that team, on OpenAM, the continuation of the OpenSSO open source project. My knowledge of the product is rather shallow as I’ve worked on several case studies or issues related to customers and LDAP directory servers, but I never had a chance to deploy a service for production use or even extensive testing. So when I learnt that Packt Publishing was releasing a book on “OpenAM”, writen by Indira Thangasamy, an ex-colleague of mine and manager of the Quality Assurance team, I asked if I could get a copy for review, which Packt kindly agreed to. I haven’t finished the book yet, as it’s over 250 pages of content, covering all aspects of the OpenAM software, from its history, its components and services, to its integration with Google Apps or SalesForce… But from what I’ve read (about 2/3 of the book), I can say that the book is easy to read and well organized. It helps a beginner to grasp the concepts and starts using the product, thanks to the detailed explanations and diagrams. As the chapters advance and dive into specific technical areas, Indira uses real-world examples and simple code or commands, followed by detailed description to illustrate what OpenAM does or does not, giving a comprehensive picture of the fully featured product. Some of the features of OpenAM are not covered in the book, like Federation or the most recent Entitlement Services or Secure Token Services. I hope they will be covered in a revised edition or may be another book, as these features are becoming more used and important to enterprise security and access management. In summary, if you’re about to, or have just started to engage on a project with OpenAM, this book will help you understand the technology and ease your ramping up. 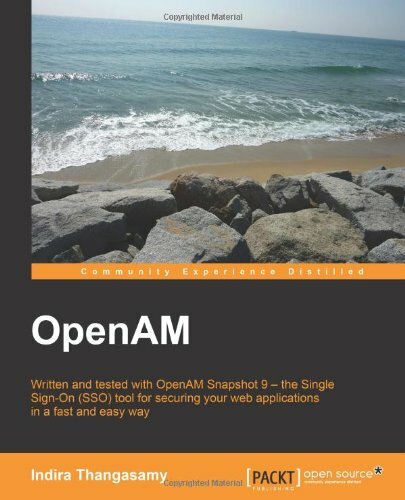 But even for the more experienced users of OpenAM, the book contains full of details, tips and example that will save you time and make you more efficient. You can find the book on Pack-Publishing web site or Amazon. The first book on OpenAM, the open source web single sign-on and federation project, will be released very soon (it should be Jan 21st 2011), and it’s been written by one of my former and well esteemed colleague Indira Thangasamy. I haven’t reviewed the book yet, but I’m expecting to have a review copy in my hands pretty soon (thanks again Indira and Packt Publishing). However, if you want to get a feel of the book content, Indira has posted a very detailed table of content of the book, and some background information about it. I’m really looking forward reading the book and discovering some hidden gems of OpenAM. Also, this will help me to rethink the way the Configuration Store and User Store are considered and help improving the integration with OpenDJ, the Open source LDAP Directory services in Java, currently used as the embedded configuration store. The book is already available for Pre-Order.